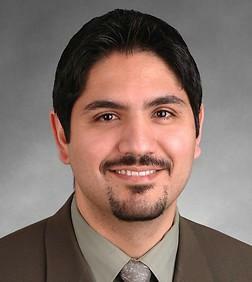 Babak Yousefzadeh is a partner at Sheppard, Mullin, Richter & Hampton in the Labor and Employment Practice Group in the firm’s San Francisco office. Mr. Yousefzadeh represents employers in a full range of employment law matters, with a focus on litigation and class actions. Mr. Yousefzadeh also specializes in litigation avoidance counseling. His experience includes advising and litigation on matters involving all forms of discrimination, harassment, retaliation issues; breach of contract disputes; wrongful termination claims; wage and hour issues; independent contractor status; workplace investigations; discipline and grievance issues, including those overlapping with traditional labor; workplace violence; Labor Code violations; and other statutory and contractual obligations. He is experienced in practices in both state and federal bodies, in all applicable forums. Mr. Yousefzadeh is also experienced with defending employers at administrative hearings before the DOL, EEOC, DLSE, and the DFEH, and has defended repeated claims against employers successfully, obtaining complete defense rulings. He also has successfully defended employee terminations at arbitration on behalf of unionized employers. Mr. Yousefzadeh also frequently advises clients regarding various labor and employment issues, and assists companies with implementing proactive compliance strategies, gives harassment and discrimination prevention trainings, and drafts employment documents such as employment agreements, employee handbooks, and separation agreements and releases. Mr. Yousefzadeh received his LL.M., New York University School of Law, J.D., University of San Francisco, School of Law, and B.A., University of California, Davis.